Music therapy is useful with children with autism, owing in part to the nonverbal, non-threatening nature of the medium. 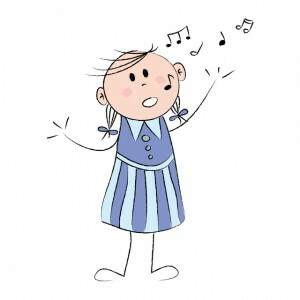 Parallel music activities are designed to support the objectives of the child, as observed by the therapist or as indicated by a parent, teacher or other professional. A music therapist might observe, for instance, the child’s need to socially interact with others. Musical games like passing a ball back and forth to music or playing sticks and cymbals with another person might be used to foster this interaction. Eye contact might be encouraged with imitative clapping games, or with activities that focus attention on an instrument played while positioning for eye contact. Preferred music may be used contingently for a wide variety of cooperative social behaviours, like sitting in a chair or staying with a group of other children in a circle. Music therapy is particularly effective in the development and remediation of speech. The severe deficit in communication observed among children with autism includes expressive speech which may be nonexistent or impersonal. Speech can range from complete mutism to grunts, cries, explosive shrieks, guttural sounds, and humming. There may be musically intoned vocalizations with some consonant-vowel combinations, a sophisticated babbling interspersed with vaguely recognizable word-like sounds, or a seemingly foreign sounding jargon. Higher level autistic speech may involve echolalia, delayed echolalia or pronominal reversal, while some children may progress to appropriate phrases, sentences, and longer sentences with non-expressive or monotonic speech. Since children with autism are often mainstreamed into music classes in public schools, a music teacher may experience the rewards of having a child with autism involved in musical activities while assisting with language. It has been noted time and again that children with autism show sensitivities to music. Some have perfect pitch, while many have been noted to play instruments with exceptional musicality. Music therapists traditionally work with children with autism because of this responsiveness, which is adaptable to non-music goals. Since children with autism sometimes sing when they cannot speak, music therapists and music educators can work systematically on speech through vocal music activities. In the music classroom, songs with simple words, repetitive phrases, and even repetitive nonsense syllables can assist the child’s language. Meaningful word phrases and songs presented with visual and tactile cues can facilitate this process even further.